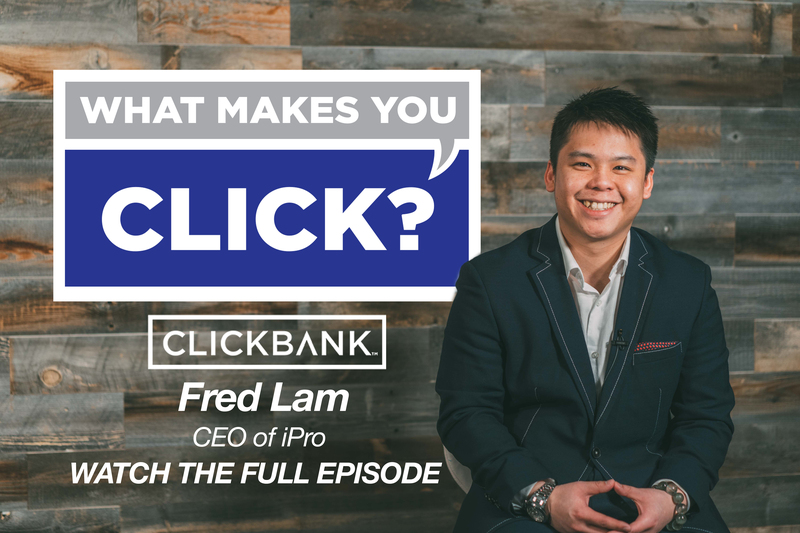 We've got serial entrepreneur Fred Lam speaking to our ClickBank audience in this episode of What Makes You Click? 2 - What techniques Fred uses to make sure his affiliates are happy and getting everything they need? 3 - Fred tells us what he learned from transitioning from a digital to a physical product. 4 - The one particular lesson Fred learned from his students to improve his product offerings. Fred Lam: Hi Fred Lam here. I'm the CEO of iPro and this is what makes me click. Shannon Smith: Welcome to What Makes You Click. I'm Shannon Smith. Today I'm joined by somebody who started his entrepreneurial journey as a dishwasher in a Japanese food restaurant. And from there went on to be a successful media buyer and have multiple eight figure launches. Fred Lam, thanks for joining us, Fred. Fred Lam: Thank you for having me here. Shannon Smith: Yeah, it was wonderful to have you. So tell us a little bit about your start, about going back into your, you told me you were a dishwasher. What happened there? How'd you get out of dish washing? Fred Lam: How'd I get out of dish washing? Well, in all honesty, ClickBank actually started my journey as an internet entrepreneur. When I was washing dishes, nowhere to go, don't know what to do, working up the ranks at a restaurant potentially, that's the way. But started to actually got introduced to a friend who started to be on ClickBank selling ebooks. And I was like, that's interesting. Like he's making good money at that time. And I was like, I wanted to learn. He actually started sharing with me what he was doing and then he was selling ebooks on ClickBank and it got me very interested into learning more about this internet marketing world. Fred Lam: So I got into a lot of forums, I always tried to meet up with him and I started helping him to actually get his products, get more sales and started really dabbling into traffic. So that's how it all started. Fred Lam: And then where things really start to took off was when I made the transition into selling physical products online. And that's when things really started to grow. That's where I have my experience into a lot, is really how to sell physical products online using traffic. And that's the two key components that really made, things really started to take off for me. Shannon Smith: That's awesome. So what was your first like big launch of a physical product? What was it like? Fred Lam: So it was back in 2008 and back in 2008 gas prices was soaring. We were very fortunate enough that all of a sudden there's a manufacturer that lets us drop ship and drop ship was not a term to be used back then. Nowadays it's everywhere. But back in 2008 like what the heck is drop ship? Fred Lam: So we were very privileged in that we say, okay this is the product, we'll manufacture it, we'll ship it out for you, you just want to get a sales. So what we done was we went to create a sales page, created videos, and we used traffic to actually start selling that product. Within four months we did $4.6 million. That's where I had the most learning experience and knowledge about traffic, conversions and how to really sell physical products online. Fred Lam: Obviously at a young age, really going crazy. And then making millions all of a sudden, from like nothing to millions and never really had the business background. So the business kind of collapsed. And one of the most challenging thing back then was, not only because I don't have the business foundation, it's really because merchant processing was an issue, right? It people deemed physical products online as high risk. So that's why like ClickBank, you guys, are amazing now allowing physical products because it really helps these people, these startups or these companies to really process credit cards without even worrying about it at the same time. Fred Lam: So yeah, that's how everything started to begin. And after that first business collapsed, I took that skill set as a media buyer to train my own agency. I was very fortunate enough to attract BMW as my client and I was 21, I think or 20, 21. I was literally the youngest marketing manager at BMW Group Canada. I was given Rolls Royce, Mini Cooper and then I'll have like over a dozen car dealerships and brands under my roof. Fred Lam: And I was working with some of the top sales manager, general manager, marketing manager, to really learn from them because my ultimate outcome going into corporate all of a sudden from like an entrepreneur going into corporate was to have one thing in mind, to learn the business side of things. And that's what I believe is super important being an entrepreneur, it's you got to experience the process. You can't just go by textbook and basically say ABCD, ABCD, which is true, you can with a blueprint, but experience the process is very important. Fred Lam: So I had three years of time in there and at that time I was like, okay, I'm ready, I'm ready. I know why the first business failed. Not just because of merchant processing, because of how to really run a business and how to actually multiply your existing database to create a bigger business and really nurturing your customers. Fred Lam: So then I actually went back, go back into physical product, again, very lucky, got another manufacturer that would just allow us to sell the product. We don't have to carry any inventory. We just sell. That business took off right away and did $6.4 million in months. Shannon Smith: Which one was that one? Fred Lam: It was a water filtration product at that point. And then from there we continued to rinse and repeat the process of basically finding products and just selling online using traffic. And that's where the entire five step that I developed really came into play and started helping other individuals having the same kind of success using this blueprint that we've been using. Shannon Smith: So when you were at a BMW and you had your own media agency, what were some of the top things that you learned that you that thought, ah ha, like, this is going to help me so much? Fred Lam: A couple of great things. Number one is back end. Super, super important. A lot of people, or a lot of businesses nowadays, they focus on just first interaction and first transaction and they don't do anything in the back. Don't customer journey, no customer relationship, because ultimately there are just so many noise in the market right now. And if you only focus on the first transaction, you're not going to build a sustainable business. And if you don't have things in place to maximize the revenue for every single customer in your business, you're basically leaving a lot of money on the table. Fred Lam: So one big example that I have, for example, when you buy a car, and this is what I really learned and that's where I, in the step four of my system, I call it the profit multipliers, how you can multiply your profit with the existing customers [inaudible 00:06:37] more ads. Fred Lam: So when I was at BMW, one thing that I saw that I kind of really got that ah ha moment was once they actually sell the car, the car does not have a lot of margins. Where the margin comes in place is the back end. And how the back end comes in place is, for example, once you buy a car, you go into the business office. When you're in the business office, they sell you warranty, they sell you the tire warranty, they sell you this and they tell you that. That's where the majority of the money actually comes from. And that's where, it's kind of like McDonald's. Do you want fries with that? That's where it applies. Fred Lam: Then where it goes even deeper is service department. After you got a customer that got the all of these warranty, you've got them a brand new car, the good money, the real profit is going to be when you continue to service the car. They bring back then into the cycle of now their lease is up or the car's getting old, bring them back into the entire process again. Fred Lam: So that's what I saw, I was like, okay, basically if a business just depend on first transaction, you're not really going to have a longterm sustainable business. But if you have a bigger customer database, you build an ecosystem of having them spend more without spending more on ads and nurturing them to continue to diversify, to sell other things. Which for example, for a physical product, you can actually sell affiliate products on ClickBank. You can actually sell other physical products within your existing customer database. That's where all your real profit margin actually comes in place. Fred Lam: So that was a big ah ha moment for me and I can see why some business just boom and take off and some business are having a great product, but they are still or the actually go downhill throughout the years because they don't properly have that system and process in place. Shannon Smith: Wow. That's a great answer. Thank you. Why don't you tell us about what you're doing next? You mentioned you have a new product coming up. Fred Lam: Yeah, so ever since that I started sharing my system, started sharing my knowledge, which took me quite some years for me to do it after some push from my friends in the industry. And it's like, you got to share this, you got to share this. We basically took, or I should say, I basically took what I've learned through all my businesses selling physical products into the five step system. And I actually documented it to actually write a book all about it. Fred Lam: When I first released the first edition of the book, it was just a digital format and a lot of people are getting like tremendous success out of it. Ever since I started teaching about my five step, our students went from like absolute zero to now collectively generate over now it's almost $31 million in student results. Fred Lam: So this time around I was like, okay, I looked at all my students' results, some of them that made it, some of them don't make it. What are the trends? What are the things that I can really add into the book to make it even better? So that's why the second edition is coming out now with me working with my students, knowing what is working, knowing what is helping them, what is not helping them. And we basically doubled the content for the book called Starting From Zero. Fred Lam: We're actually going to be releasing the audio version of this book for a $1.99 plus the digital copy and we are going to officially published this book on Amazon for roughly $20. So during this timeframe, during the launch of the 10 day, we're just going to do it for a $1.99 and give the audio book away for people that wanted to build a business, that want to generate or see themselves generate an income online. We give them tools, we give them the strategies, the blueprints, the how to and most importantly the psychology behind the person going through the process on finding hidden opportunities within your business. Shannon Smith: Excellent. Sounds exciting. I heard a dirty rumor that there are also some affiliate prizes involved. Fred Lam: Yeah, we are basically doing some pretty crazy affiliate prizes for a $1.99 offer. We are basically giving over $100,000 in prizes, giving cars. And we actually have two contests in place. One is a leaderboard, typical, but the other one is to control your destiny because I just want to empower regardless of how big you are in industry, regardless of how big your email list size is, I appreciate every single person that promotes or supports anything that I do. So we actually have a prize pool regardless of, it depends on how many sales do you do. You may get a Rolex, you may get a car. So it's basically a rewarding system. Shannon Smith: Some serious prizes. Fred Lam: Yeah. So it's a rewarding system to actually have in place so that we're not just looking for large affiliates. Like we want this to be a global movement. We want to empower any size of affiliates to actually get this out and be rewarded at the same time. Shannon Smith: I love it. That's excellent. So what do you do when you're looking for your next launch or your next physical product to sell? What are you looking for? Fred Lam: So what we really look for, it's a lot of people say, oh you got to look for trending products, you got to look at that, you look at that. What we really look for is we just go and market and let data tell us if that product's gonna sell or not. Because we live now in the best time in history to actually run advertising. You get real time results, you get real time data to tell you if the market is interested or not. If the market is interested, great, time to scale. If it's not interested, drop it and move on. Because now there's so many vendors and manufacturers that knows about drop shipping that they want more sales. They'll be like, we'll worry about the inventory, just get me more sales. And from there you can actually take competitive advantage of it because now all you got to do is just put the product into your store, put the product on your website and it start selling it. But you basically let data tell you if it is going to sell or not. Fred Lam: And that's a missing component that a lot of people don't see, is you don't have to perfect your website. You don't have to perfect your store. Get out in the market first. Let customers tell you if they're interested in the product or not and you get real time data results like for $20 a day you can actually get data on knowing if people are interested based on obviously their click through rate, cost per click and the conversions. You will know if people are interested or not. So when we look for products, yes, finding trending products is important. Knowing what the market wants is important, but knowing and understanding the data to tell you if it is going to stick or not is the most important thing. Fred Lam: So we never make assumptions. And for anyone as an entrepreneur, don't make assumptions. Let the data tell you what is happening and optimize your business based on the data points. Price is a very big thing which I see a lot of people, regardless of what space, is people never split test price. But in reality, when you go through the funnel, and thanks to technology, we can see where people are dropping off, where people are actually not taking action. Fred Lam: So let's say for a physical product, if people are clicking on your ad, but they go to your page, they don't add to cart, they don't initiate checkout, there's something wrong with the price. I don't think it's going to be a product problem because they've already expressed interest through the ad. Then it's all about the price. Fred Lam: If you start split testing the price and see that oh, I can decrease it by a couple of dollars, it makes a significant difference in your business. So knowing those is the most important thing. Never assume, just go and market, let the data tell you. It doesn't work, move on. You don't have anything attached, there's no risk for you. You didn't buy a lot of inventory to sit on the shelves. Shannon Smith: So once you do find a winner, do you buy inventory and stop drop shipping or do you continue [crosstalk 00:14:19]. Fred Lam: Two ways to do it right? One way is you can continue, well, what we encourage people to do is sign an exclusive right so that no other people can actually drop ship a product. If that is not an option and you are producing at least 100 to 200 sales a day, that gives you a safety net. If you basically, in the last 30 days you can sell 100 units, that means that you are going to have safety net to invest in now creating your own brand, creating everything out of that and slowly diversify your business. And that's where I call it the four phases of ecommerce. Fred Lam: I didn't really go in depth about it inside the book only because it's like way out there, but in the same process, you're literally using drop shipping to start. Once you've done so the second step is to basically start building your very own brand and get into the market and start diversifying into other marketplaces because diversification is very important. So before diversification, we built sales funnels. So what else can you sell on top of it to maximize your AOB? Fred Lam: The third is diversification. Like, for example, what we do is we get our physical products, we know it works, we have our own inventory. Then we actually diversify into having it on ClickBank. Because you guys now accept physical product. We have respond to ClickBank to actually attract affiliates. We then diversified to Amazon and all these other places now because we have inventory. Fred Lam: Then the last phase, which is like you can either sell the business or simply you can then, [inaudible 00:15:51] that you have your own product, you can start negotiating with like retailers to carry your own stock and everything. Fred Lam: But again, it depends on what you want to accomplish at that point because each person really runs a business very differently. Do you want to have a laptop lifestyle where you just want to make $10,000, $20,000 a month, travel around the world, no employees, no nothing? Or do you want to actually build a legacy business on really creating a bigger brand? So at that point the option is up to that person. Shannon Smith: Choose your own adventure, right? Shannon Smith: Okay, that's awesome. Going back to your media buying experience, in 2008 what kind of media where you buying? Fred Lam: In 2008 there wasn't Facebook. We are so blessed right now, everyone that's listening, we're so blessed with Facebook advertising. But back in 2018 there's no such thing as Facebook advertising. We focused a lot on what we call direct placements. So it's kind of like buying an ad on newspaper. We're just buying my websites. So we call it direct placements. Fred Lam: And also what we were realizing a lot was affiliates, mailers and also we actually had Google ads running at the same time too. So those were like the primary key focus. Now obviously things transition. There are just so many other opportunities out there. There's social media, there's all this other stuff. Shannon Smith: So where do you see traffic today and tomorrow heading? Fred Lam: I would say that traffic, it's going to get easier. It's going to get more competitive, but it's gonna get easier because all these technologies out there right now with pixels, with automations in place, I see that eventually advertising will be in AI. If you have a high converting offer, if you have a high converting message, let the advertising platform to do its job. That's where Facebook's heading. And that's where definitely Google is heading too. Fred Lam: Because if they are able to provide results, and the one reason why Facebook all of a sudden just went crazy and everyone going into Facebook ad is because Facebook wants their advertisers to get results. In order for their advertisers to get results they have to build in algorithms and they have to build infrastructures in place to connect audiences that are most likely to buy with the advertisers products. And that's why Facebook advertising is so much easier now because of all those data. Fred Lam: But where I eventually see it is if you have a converting offer message product and you have enough data, then you simply let AI do to work and let them figure out where you should be advertising and where are you going to get the highest ROI and you solely just focus on maximizing what we call the average order value, getting more upsells in place and handling customers. So I think in the next coming years you'll see more of like advertising artificial intelligence in place. That's what I believe. Shannon Smith: Awesome. You've mentioned average order value, you've mentioned lifetime value. You're obviously very concerned about the journey that the customer takes. What are the metrics that you look at when you're launching a new product and you want to see if it's going to be successful or not? What are you like primarily focused on? Fred Lam: So if there's a brand new product that goes on in the market, we use Facebook ads marketplace because this is like the best marketplace for physical product right now. A couple of things that we look at is the cost per click and the CTR. So for cost per click, CPR stands for click through rate. How often when your ad is showing, how often are people going to click on it? That metric is super important because if you are going after a million audience size, and let's say that you have a 5% click through rate or not even five, let's say that you have a 3% click through rate and our goal is to actually get above 1.5, 1.5 is average. But if you're able to get 3% click through rate and that means that the market is interested in your product. Fred Lam: Now if you get less than 1.5% that means that people are not even interested in the product at that point. And if it doesn't, we just cut it..
Shannon Smith: Is that, could that be also that your ad isn't working or is that always reflective of the product itself? Fred Lam: A lot of times it's the, well there's several votes. I use something called the 3X3 ad formula to actually speak the language. So how my 3x3 ad formula works and it works for all kinds of advertising is let's say that your objective is a product. Under that product, we always have three targeting, three different audiences to go after. And under three of the targeting we have three ads that had a different message. So we're basically going into market with all the creative, all the targeting that we believe is going to work and with one single product and spend a couple, $5, $20 a day. It doesn't really matter because we want the initial metric to come in place. And when you start running traffic it will tell you which message works, which targeting works and if the product's working or not. Fred Lam: If somehow if you're not getting any of the metrics in place, then it's obviously the product. Because when it comes to running a business and running ads, there's only three factors, products, targeting and ads. Kind of like you say, what is the message to go in market, who you're marketing to and what your product is. And using the 3X3 ad formula that we created, it tells us right away what is sticking and what it's not. And from there we found something that works. We nurture a little bit, maybe come up some more different angles. Shannon Smith: You can optimize it. Fred Lam: Optimize it a little bit, and then we scale it up. Shannon Smith: Wow, that's great. So you're split testing from day one always. Fred Lam: Yeah. Because we never wanted to assume what the market's response is going to be. We'd rather be proactive than reactive at the same time. Shannon Smith: And that initial testing that you've done, have you ever had like a big surprise where you said who would've thought that that would convert with that audience or that? Fred Lam: Yeah. A lot of times we had an eco friendly product and it was very interesting. We always thought that well, eco friendly product, that means that we should go after people with are eco friendly or sustainability. Surprisingly, nope. It didn't work. What worked the best for us was basically people in the diets for eco friendly product. Super interesting. Fred Lam: But again, because if we were to make all the assumptions and focus our energy on it's an eco friendly product, just go after eco friendly, sustainability, it's going to work, but it doesn't, it's just that the targeting is not really matching to it. And through a lot of data we found a lot of interesting points and a lot interesting stuff at the same time. Shannon Smith: Why do you think that is? What do you think the psychology behind that is? Fred Lam: I think it's because based on people that are really into diet, they really cook a lot. They may be because they are really into ways to have a better lifestyle and that's what our product does, have a better lifestyle and saving the environment at the same time. And that clicked. Shannon Smith: That's awesome. Very good. So what was your first physical product launch on ClickBank? Fred Lam: So the first physical product launch or click ClickBank was actually when you guys first allowed physical products on and it was eco friendly products that we had. Shannon Smith: Is this the towels? Shannon Smith: The Green Nano towels? Fred Lam: Yeah. So the entire journey with ClickBank is actually pretty interesting. 2006 is around the time that I basically got into ClickBank, playing with ebooks and everything. Then kind of left because of the physical product space. And then afterwards, it wasn't really until that I got into more of courses and software that I started to actually get back onto ClickBank. And it was, I forgot. It was like three years ago, I think, that I started to come back to ClickBank. Fred Lam: And one of the main reason why I came back to ClickBank because you guys have like track records of infrastructures in place, of things that we don't have to worry about like processing affiliates, payments, finding affiliates. A lot of things that we, if we were to do it ourselves, it's just going require more time, require more investment. That's where like ah, it's great to actually come back on ClickBank. And then you guys said we accept physical product. I was like, yay. Okay, I'm coming back. 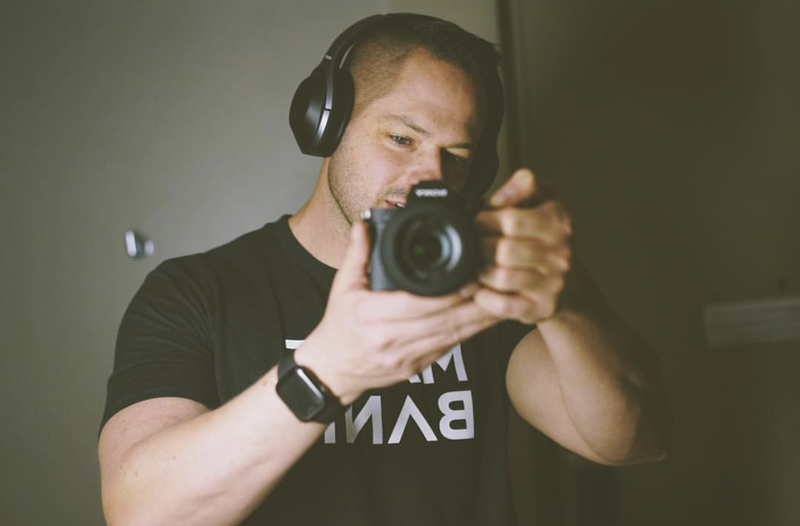 Fred Lam: And yeah, so through the journey, I mean, you guys made a lot of changes, a lot of amazing process change that made me wanted to basically do more business with ClickBank and give more of my business to ClickBank at the same time. Shannon Smith: So you mentioned the affiliate network, the affiliate payouts, the merchant processing. What other benefits do you really like about ClickBank? Fred Lam: So all other things is you guys obviously have all the infrastructure for compliancy and everything. I know that a lot of people are very scared about ClickBank not approving all these other stuff, but in reality we take a step back and look at it, ClickBank is protecting everyone's business. It is maybe a longer process, but if you constantly have a product that's disapproved, then you may want to revisit about your business to be really honest. It may be that your business is basically not going to be sustainable to claims. Fred Lam: So I think working with the compliance team is very important. It's kind of like having free legal advice. That's what I think it is. Fred Lam: 21 years of track records and you guys have all these things that you guys know what it's going to get you in trouble, what is not going to get you in trouble. And if vendors and affiliates listen and adapt to it, then basically ClickBank's really protecting your business too, which a lot of people see it as like that's the dark side of ClickBank. But in reality it's really a positive side if you actually take a step back and look. 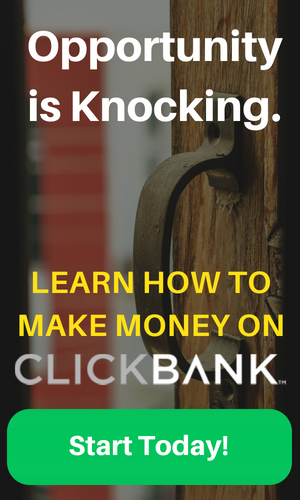 Because ClickBank is here to build a longterm business with you. It's not like in and out, in and out, in and out. So yeah. Shannon Smith: I love it. So your next launch with has some amazing content of sounds like. I want to buy this book. When does it start? Fred Lam: Starting on April 9th to the 19th. We're only opening cart for 10 days. Shannon Smith: So you got to be quick to buy. Fred Lam: Yeah, only that 10 days. And then right afterward in May we're looking into having another launch on ClickBank, which is all about traffic. Traffic, it's not just a course. It's like a mentorship call where I'm literally training people that knows nothing about traffic to become an expert in traffic and applying for their own business or even taking that knowledge to actually create their own agency because that's how I really got back, was creating my own agency with my traffic and teaching people how to do it at the same time. Shannon Smith: I have a feeling that one to cost more than a $1.99. Fred Lam: Yes. Yes. That is going to be a high ticket product. Shannon Smith: Awesome. And if people want to promote these products as an affiliate, where can they get details? Fred Lam: Definitely go to www.startingfromzerojv.com and the book is actually called Starting from Zero. Obviously it means something because we're wanting individuals to start from zero and start becoming an entrepreneur through our five step process and our five step system. So yeah, startingfromzerojv.com. Shannon Smith: So we like to ask all of our guests when they come and visit us what makes you click? Fred Lam: Results. I think most importantly, it's people's result from using our products or our student results from obviously going through our courses and program. Because that's what really motivates me at this time, is to actually know that I'm having an impact in humanity on delivering products that are basically helping them and also delivering programs and systems that seeing people's lives change. So every time when I hear a story about a student's success, I love it. We have people that, actually someone that left Philippines and immigrated to Canada because of our program. We have military personnel become millionaires. All those are what's making me click and what drives me right now. Shannon Smith: That's amazing. Thank you for visiting our offices and for sharing your journey and your products with us. If you enjoyed this video, please like and subscribe. Thanks.